Magnus Carlsen – full name Sven Magnus Øen Carlsen – is a Norwegian-born chess prodigy. He is a renowned world chess player and became the Norwegian chess Grandmaster at the tender age of 13. Carlsen was introduced to the world of chess at the young age of 5 by his father, and took part in his very first chess tournament when he was 8 years old. 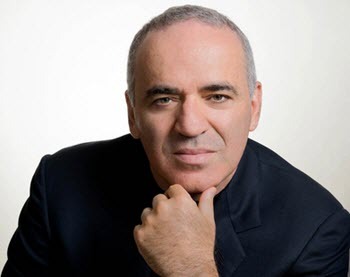 His first grandmaster title was won in 2004. 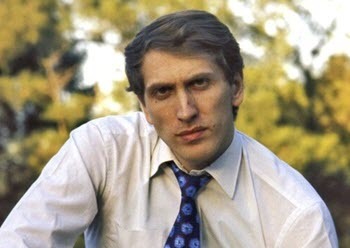 From then he moved up in the world of chess, achieving lots of accolades. Some of these include competing at world levels (2007), surpassing the Elo-rating of 2800 (2009) and becoming the number one ranked player in the FIDE rankings (2010), making him the youngest person to ever achieve this. Sven Magnus Øen Carlsen was born on the 30th of November 1990 to parents Sigrun Øen and Henrik Albert Carlsen, in Tønsberg, Norway. He has three sisters. From a very young age Carlsen started displaying his great intellectual prowess, starting at the age of two where he showed interest in solving puzzles from jigsaws to Lego sets. Carlsen once stated that one of his motivations in getting better at chess was to beat his elder sister in the game. 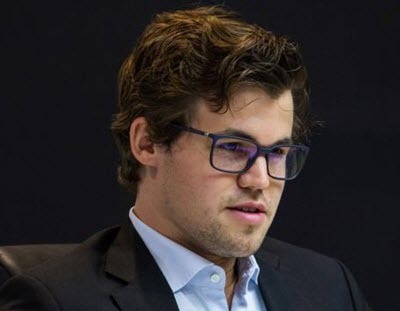 In Carlsen’s early chess playing days, he was taught how to play by his father, Henrik, and also taught himself by reading books such as ‘Find the Plan’ written by Bent Larsen, and ‘The Complete Dragon’ by Eduard Gufeld. These books helped him to learn and improve his opening skills. He further developed his skills by playing by himself, moving the various chess pieces, making up plays, combinations and improving on the strategies taught to him by his father. A year after Carlsen finished his primary education he participated in international chess tournaments held in Europe where he amassed some achievements, such as coming joint third in the European Under-14 Championship and also placing ninth in the World Under-14 Championship. After all this he returned to finish his secondary education in a sports school. Carlsen was then lucky enough to be coached by one of the country’s top players, Grandmaster Simen Agdestein. Carlsen started out with an aggressive style in his chess play. He made it difficult for opponents by using various opening strategies in his early youth. He found out that this aggressive style of play was not so useful against the world’s greats, leading him to be more tactical. When asked about his playing style he said that he does not have any preference, but also stated that he follows in the tradition of Karpov and Fischer. In the year 2004, Carlsen (age 13) drew a rapid chess game tournament with Kasparov, giving himself a name in the world of chess. He then became the world’s second-youngest player to win the Grandmaster title. In 2010, he became the highest ranked and rated chess player. In the year 2013, Carlsen defeated Viswanathan Anand, making him the World Champion, and then went on to defend his title against him the following year, retaining the championship. In year 2016, Magnus Carlsen defended his World Championship title against Sergey Karjakin.